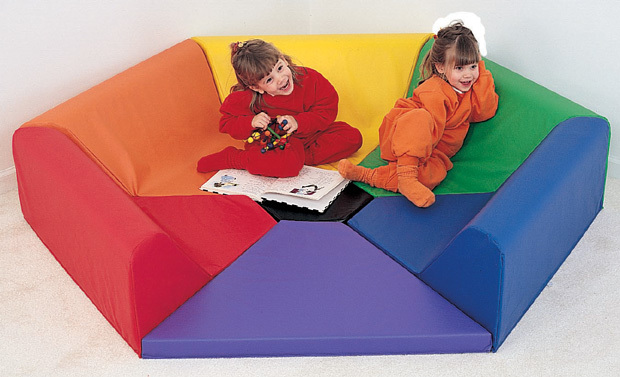 * Six-sided soft space for any activity. * Seven pieces hook & loop together forming a nook or a reading center for anyone. * Extra piece in center increases leg room. * Dimensions: 75" x 65" x 13.75"